Fast & fun projects with guaranteed great results! 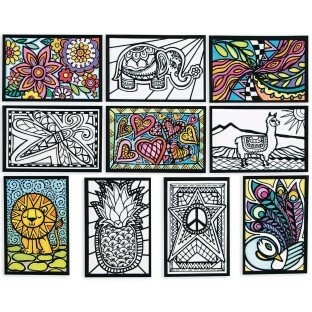 Huge variety pack includes 10 each of 10 exclusive designs that are sure to appeal to everyone! Fast & fun projects with guaranteed great results! 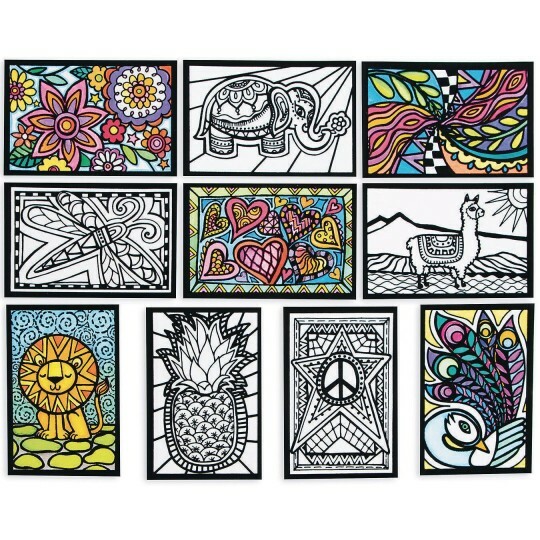 Huge variety pack includes 10 each of 10 exclusive designs with something sure to appeal to everyone! Velvet borders ensure coloring success. 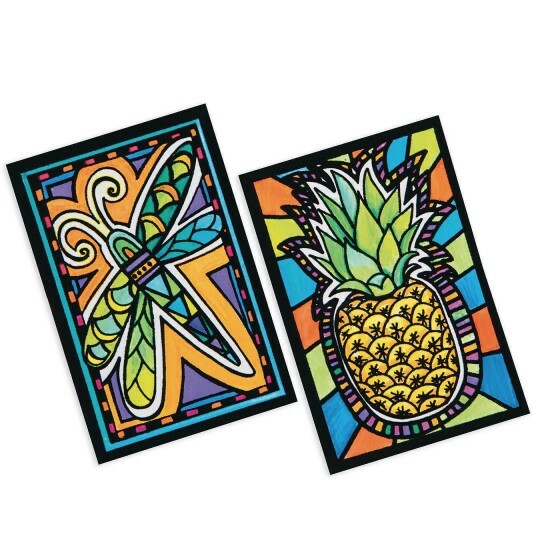 Each cardstock mini poster measures 4” x 6”. 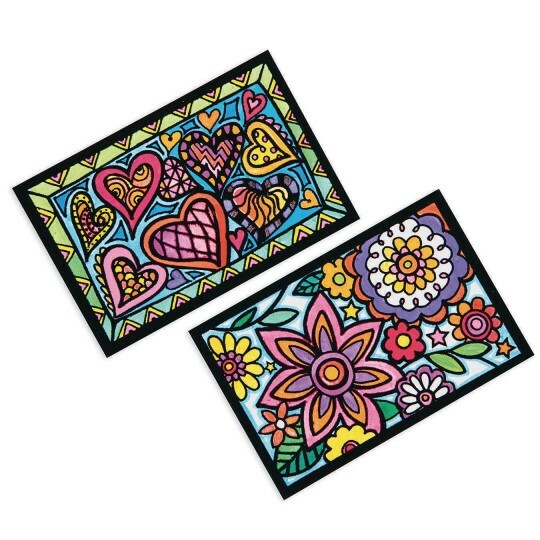 Color with markers or colored pencils (sold separately).